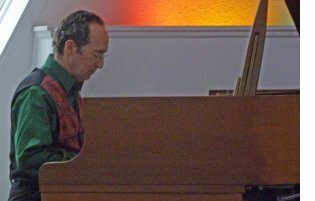 • Richard Shulman Quartet at Isis this Sunday. Original Inspiring Jazz with the Richard Shulman Quartet featuring Todd Wright - saxophones, Richard Shulman - piano, Shannon Hoover - bass, Rick Dilling - drums and a special guest vocalist. 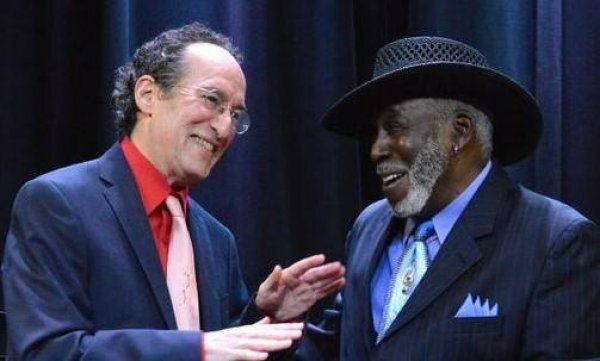 Music will be selected from Shulman's jazz compositions selected for this configuration and the Asheville jazz community. From 1957 to the early ‘60s, Sam Cooke, known as the “King of Soul” was one of the great innovators of Rhythm & Blues. He had numerous Top 10 and Top 40 hits until his untimely demise in 1964. Songs such as “You Send Me,” “I Love You for Sentimental Reasons” “Chain Gang” and “A Change is Gonna Come” are deeply loved favorites of millions of people. Sam Cooke was one of Sidney Barnes’ favorites when as a budding R&B singer Barnes would hear him in concert. Sidney was immersed in the music then as he is now, decades later. Sidney and Richard will be joined by “Echoes in Rhythm” led by Richard and specializing in popular music of earlier eras. Joining them will be guitarist Jonathan Pearlman, bassist Bill Fouty, drummer Rick Dilling, saxophonist Jason Moore and vocalists Juan Holladay, Olympia and Peggy Ratusz. Limited Tables are available with dinner reservation. Seating / Standing is otherwise available first come first serve. Call Isis at 828-575-2737 for reservations. Sat. 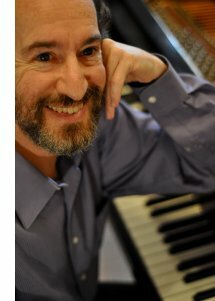 Oct. 24th 3:00 - 5:00 pm workshop UR Light Center "Recognizing and Expressing the Divine through Music and in Communication: Bringing the consciousness behind healing music into day-to-day interactions" - an interactive workshop facilitated by Richard Shulman. Recognizing the Divine in another person or group opens doorways for communicating messages beyond expectation. Richard will demonstrate the consciousness in which God's Love expresses in music and communication and will invite participation with those attending to recognize and express from this consciousness. Sun. Oct. 4, 8:00 - 11:00 pm The Richard Shulman Quartet on the main stage at the Isis Jazz Showcase hosted by Dr. Bill Bares. Musicians will be Todd Wright - saxophones, Richard Shulman - piano, Shannon Hoover - bass, Rick Dilling - drums, playing original jazz selected for this configuration and the Isis jazz audience. Celebrate the Music of Sam Cooke Isis Restaurant & Music Hall Sidney and Richard will be joined by “Echoes in Rhythm” led by Richard and specializing in popular music of earlier eras. Joining them will be guitarist Jonathan Pearlman, bassist Bill Fouty, drummer Rick Dilling, saxophonist Jason Moore and vocalists Juan Holladay, Olympia and Peggy Ratusz. We are naturally tuned to recognize the Divine in another person and to reflect that Divinity back to them. This reflection can be expressed through music or any means of communication. In this experiential workshop, we will focus on recognizing and expressing Soul qualities in each other through the practice of discernment, conscious intent, surrender and Divine expression. Topics include the ability to shift one’s own consciousness quickly and easily, and the ability to resonate with and support the highest ideals present in a group. This teaching was developed from Richard’s intensive spiritual and healing studies over many years with Hilda Charlton and Ron Young and twenty-nine years of creating Musical Soul Portraits for individuals, couples, and groups.